Michael Fassbender got a new gurlfriend just in time to deflect serial stalkerCelebrity Fassinator Natalie Portman from latching herself onto yet another Fassbender film. Variety announced this evening that Natalie changed her brain about working on the Jobs bio-pic with Fassy, and Universal Studios has resumed their search for a new leading lady. There are so many great actresses to choose from, and I think an A-list lady (Jennifer Lawrence realm) or a solid up coming B-list actress, Rosamund Pike (my Gone Girl, girl crush) would make great choices! So what say you? 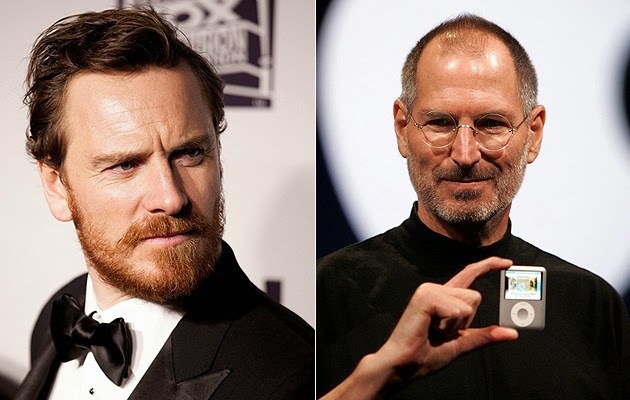 Which actress would you like to see cast as the leading lady to Michael's Steve Job role? Which Actress should star with Michael in Steve Jobs film? I was just being cheeky. I don't know some of those actresses.